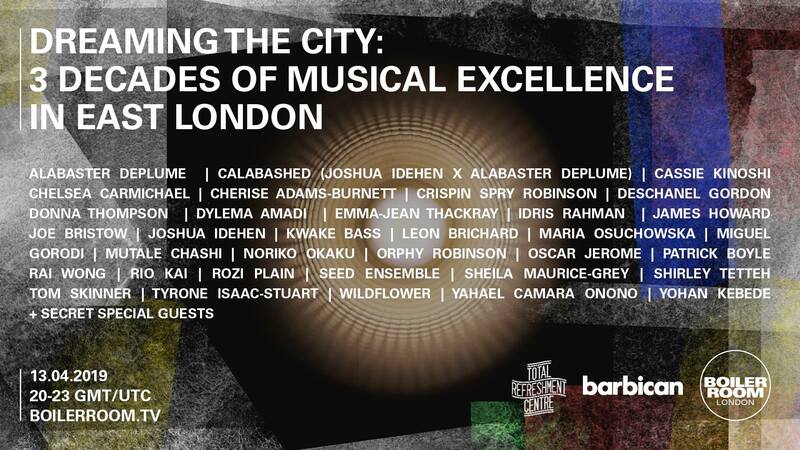 May 2016 – upcoming gigs – The Burning Hell spend May in Britain and Ireland; a short English tour for Knifeworld and The Cesarians; V A L V E soundtrack London’s Mysterical Day. 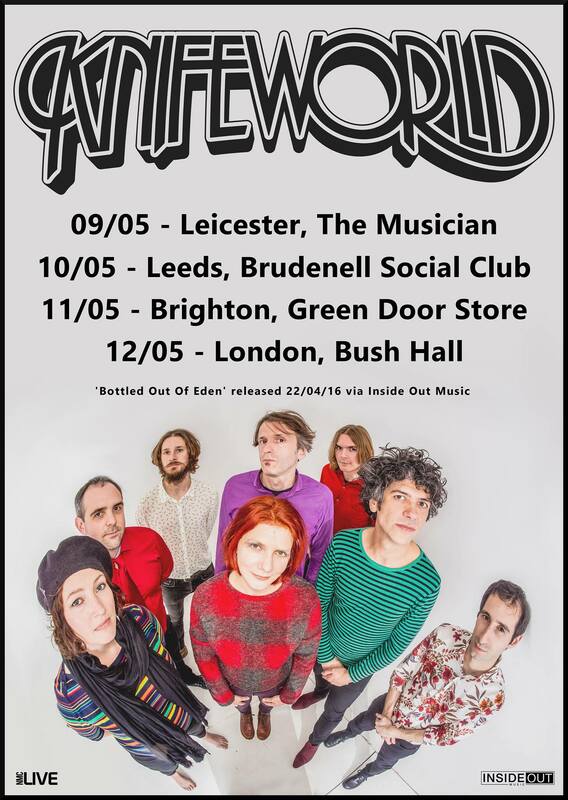 Starting at around the same time, Knifeworld will be performing a quick four-date English tour, promoting their new album ‘Bottled Out Of Eden’. Regular readers will need little introduction to the band, whose ornate and crenellated puzzle-box psychedelia has been featuring in here for years; newcomers should definitely check out their wanton, decorative, brass-rich tunes which span a web of influences and comparisons from Syd Barrett, Mercury Rev, Steve Reich, Cardiacs and XTC while maintaining the distinctive and complex songwriting vision of leader Kavus Torabi. 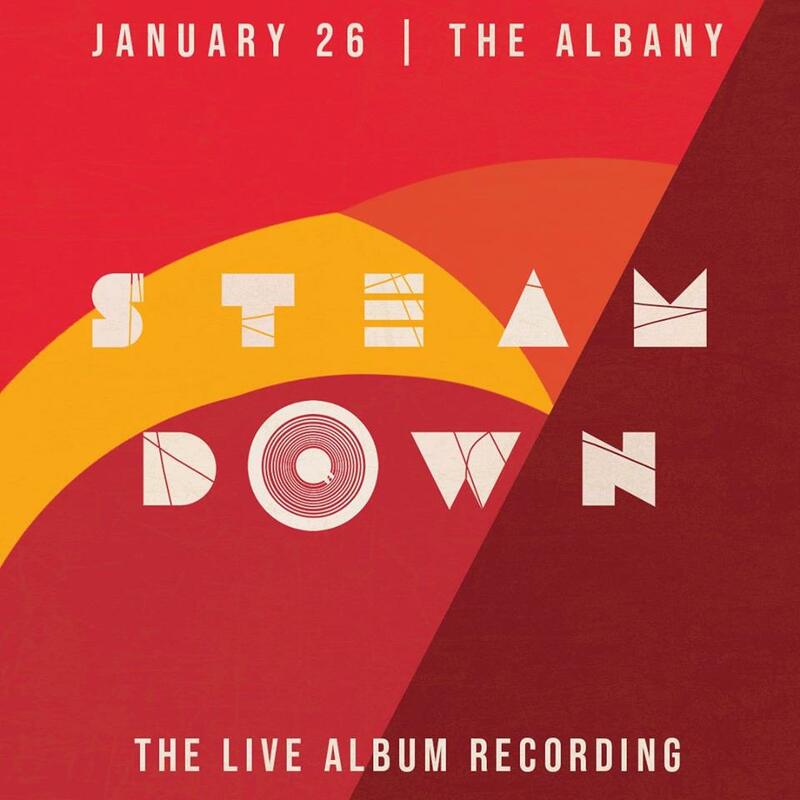 Support on all dates will be from string-and-horn-drenched art-rockers The Cesarians, whose tunes run the gamut from lush pop to flea-itching rap scrapes. 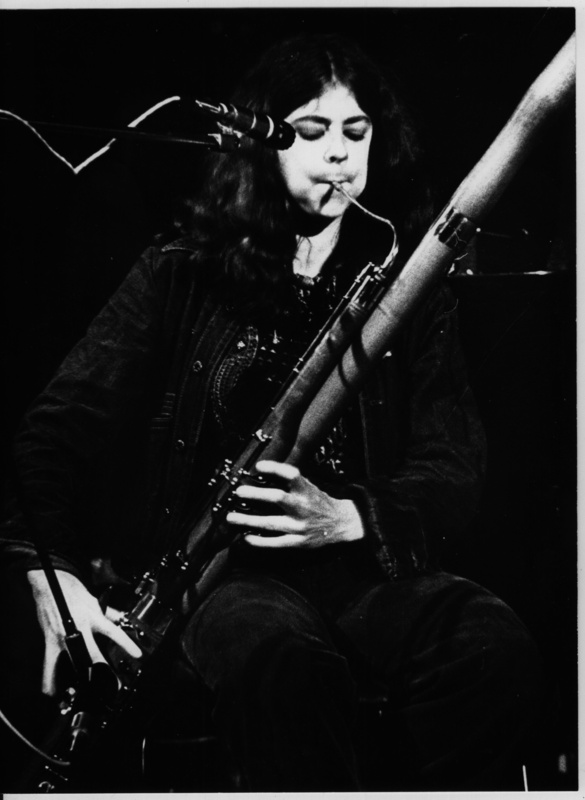 It’s also worth mentioning that Knifeworld bassoonist/saxophonist/occasional singer Chlöe Herington (also known for her work as part of Chrome Hoof) will be taking her experimental project V A L V E out again later in the month. The project – which has been known to make music from diagrammatic sources including transposed ECG readings and fragmentary notation found in skips, as well as Chloe’s own instrumentation (which extends beyond reeds to guitar and sampler) – makes an live soundtrack contribution to feminist-slanted arts-meet A Mysterical Day. 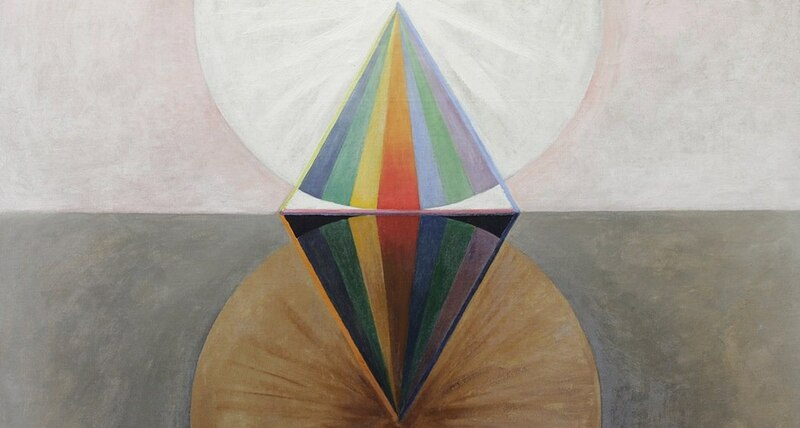 All I know re the V A L V E contribution is that Chlöe is being joined by harpist Elen Evans for the performance, that she’ll be working with various invented instruments of her own devising, and that pieces will include “FEM – a five-note ‘automated’ cycle – and Futures, in which the melodic structure is determined by a tarot card score.” Meanwhile, here are a couple of V A L V E soundclips, plus one of a tinkling, echoing new instrument which Chlöe built recently out of contact microphones and sundry rubble.